What’s the best way to cook corn on the cob? Grill it! Here’s how to make grilled corn on the cob, and a few fancy topping ideas. What’s the best way to serve corn on the cob? Call us biased, but Alex and I loved grilled corn on the cob. The smoky flavor and the chewiness of the charred corn kernels: it’s just about perfect for us! Even more fun is topping grilled corn. Growing up in the Midwest, we never thought outside of a good slathering of butter. Little did we know, there are all sorts of ways to add flair to the humble grilled corn cob. For example, elote, the Mexican street food that adds chili powder, lime, cheese, mayo, and sour cream (like this Grilled Corn with Chili Lime Sour Cream). Here we’ve come up with a new way to dress up grilled corn on the cob that’s our favorite yet. Keep reading for the recipe! Grilling corn is a very easy way to prepare it! Simply preheat your grill to medium high heat and shuck the corn. There are various philosophies to grilling corn on whether the husk should be removed or intact during grilling. We like the flavor best for grilled corn on the cob when the husk is removed. To grill the corn, place it on the grill and cook until it begins to blacken, about 4 to 5 minutes, Then turn and continue cooking and turning until all sides are blackened. That’s it! It’s a simple method that infuses smoky, charred flavor in every bit. What’s more fun than fancy corn? 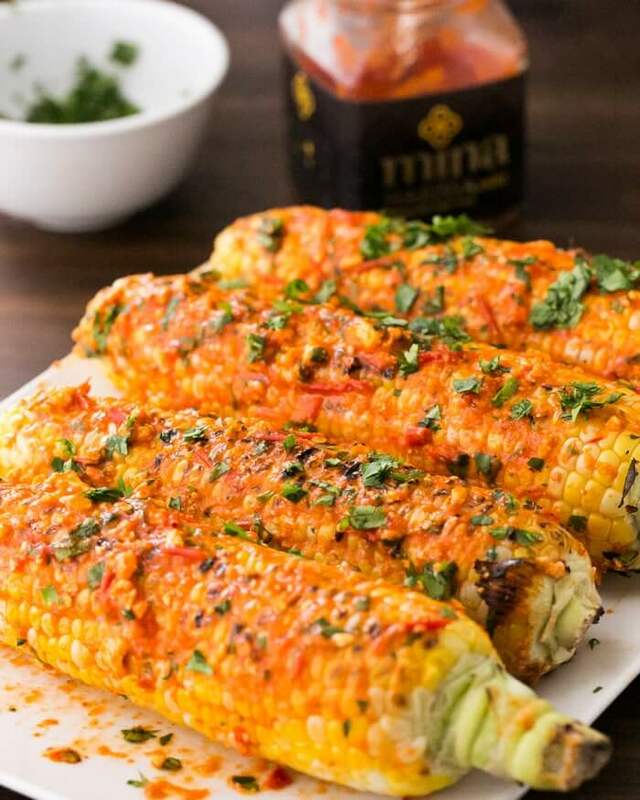 We developed this new variation of grilled corn on the cob with harissa, a zesty Moroccan red pepper sauce. We used a mild harissa so the sauce was not spicy. If you’re up for spice, you can certainly try a spicy harissa as well. With added feta cheese and cilantro, it’s vibrant and tasty – even if a little messy! Make sure to serve this one with plenty of paper towels. If you’d like a Mexican style grilled corn on the cob similar to elote, Mexican street corn, we have two options for toppings! Our Grilled Corn with Chili Lime Sour Cream is a take with a healthy spin, and our Grilled Mexican Corn with Mayo is a more straightforward Mexican style street corn. And if you like a little spice, we also have a Spicy Corn on the Cob with Tahini. What other ways have you added “flair” to corn on the cob? We’d love to hear in the comments below! Vegetarian and gluten-free. It is also vegan, plant-based, and dairy-free without the feta topping. Heat a grill to medium high. Shuck the corn. Chop the cilantro. In a small bowl, combine the mild harissa, feta cheese crumbles, and 2 tablespoons cilantro. Taste and add ¼ teaspoon kosher salt as desired (depending on the saltiness of the harissa). Place the corn on the grill and cook until it begins to blacken (4 to 5 minutes), then turn. Continue cooking and turning until all sides are blackened. When the corn is done, place it on a baking sheet and spread the harissa feta sauce over all sides of the corn (forewarning: this will be messy). Sprinkle with additional cilantro to garnish, then serve. This is such a neat recipe. We have sooooooo much corn to use up right now! Definitely trying this! Sonja/Alex… This corn and harissa creation of yours is simply amazing! Can’t wait try it this weekend. Thank you for using our harissa! i have had harissa with soup only but this looks delicious!!! Totally mouth-watering! Talk about slathering – this is the way to eat corn on the cob this summer! Gorgeous! Harissa and feta are such a good combination, and the sweet corn is the perfect balance to the smoky/spicy sauce and tangy feta. Amazing recipe! This sounds absolutely delicious. I’ve never had harissa, but I’m certain it would go well with cilantro and feta. II guess I’m weird – I like my corn just plain. No butter, no nothing. But I would be interested in trying this. Oh yum! I’m obsessed with harissa, but somehow I’ve neglected to put it on corn. Thanks for sharing. Can’t wait to make this! This just sounds so, so good! 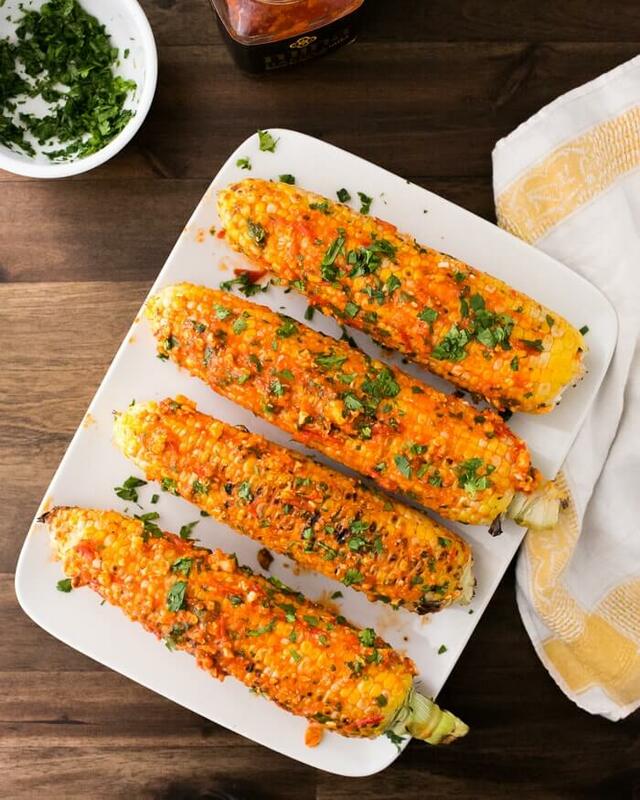 I really need to try cooking with harissa – love this twist on grilled corn!! Yum! 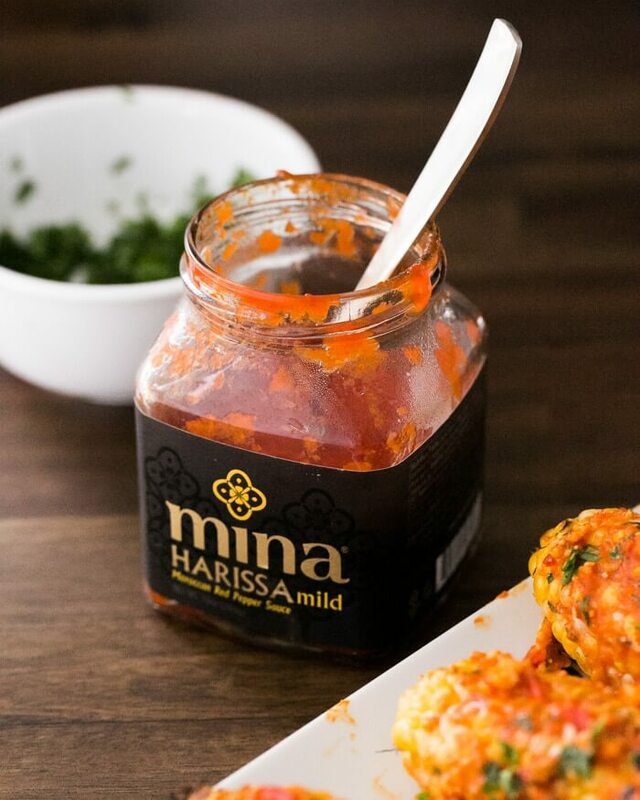 Harissa is wonderful – you won’t be disappointed! I honestly can’t wait to try this recipe! It looks so interesting! Just found this corn with harissa recipe while searching for some ideas for my new jar of harissa. This is awesome! Grilled corn and harissa rock. Thanks! You are so welcome! Hope you enjoy it – let us know how you used the harissa! Dang, I wish someone would hurry up and invent lick-a-vision, I could SO use it right now! This looks so delicious!! I can’t wait to try this recipe. Thanks for sharing!